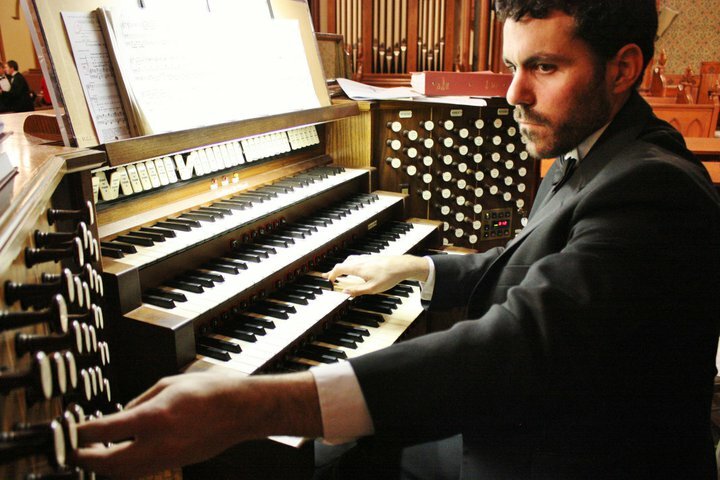 A native of New Bedford, Massachusetts, Brian Dean Sousa has been working as the Organist and Choir Master of Saint Thomas Aquinas Roman Catholic Church in Charlottesville, Virginia since October 2006. Additionally, he has been working at Wesley Memorial United Methodist Church in Charlottesville since October 2014. He obtained his Bachelors Degree in Sacred Music and Organ from Westminster Choir College in 2006 and his Master of Music Degree in Choral Conducting from James Madison University in 2010. Organ teachers have included Raymond Whalon, Ken Cowan, and Diane Meredith Belcher. Conducting teachers have included James Jordan and Patrick Walders. He has sung under the baton of conductors such as Lorin Maazel, Joseph Flummerfelt, Andrew McGill, James Jordan, Anton Armstrong, Jerry Blackstone, and Simon Carrington. In addition to his local organ performances Mr. Sousa has also performed in Straelen, Germany; Lisboa, Portugal; and Fatima, Portugal. He is in demand not only as an organist and choirmaster but, also as a vocalist. In 2005 he sang tenor in the Festival Choir for the “Royal Christmas Tour”, which featured vocal soloists, Andrea Bocelli, Denyce Graves, and Robin Fullman; who were accompanied by the Royal Philharmonic Concert Orchestra. In 2009 he was asked to sing tenor in the choir that was featured in the Virginia performances of “Star Wars in Concert. Most recently he and his wife, Narumi, sang in the choir that performed BWV 182 “Himmelskönig, sei willkommen“ in Staunton for a "Bach around the clock" celebration on the occasion of the 333rd birthday of J.S. Bach.